Alcatel Flash 2: Mobile Photography at its Finest | Vanity and Everything in Between. Alcatel Flash announced their latest prime model, the Alcatel Flash 2, with an even stronger focus on mobile photography than ever before. Fresh with their new brand color “Flash Green” signifying innovation, youth and energy, the Alcatel Flash 2 builds upon Alcatel Flash’s commitment in providing mobile users a unique mobile photography experience – mobigraphy. “The success of the Flash Plus has inspired the team to devise another smartphone with superb features and specifications at an affordable price,” Lei Zhang, Philippine Country Manager, Alcatel Flash. 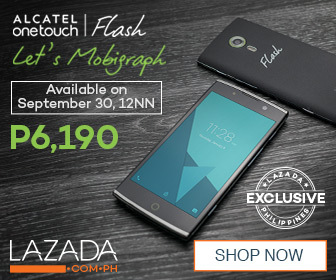 Launching exclusively on September 30 at exactly 12 Noon, through the Philippines’ One-Stop Shopping and Selling Destination – Lazada; the Alcatel Flash 2 signifies the strong partnership between Alcatel and Lazada towards having the superior product quality of the Alcatel smartphones be accessible to a wider consumer base through Lazada’s strong logistical capability and robust cash-on-delivery network. 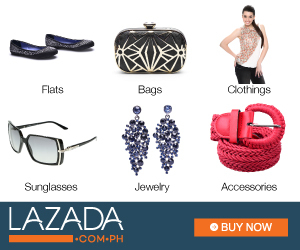 With the partnership between Alcatel and Lazada, Filpinos can own the newest smartphone sensation – the Alcatel Flash 2, through the effortless and enjoyable online shopping experience that Lazada Philippines offers to its shoppers. Alcatel Flash 2 will be sold exclusively in Lazada.